Art. It's so subjective. And consequently both enigmatic and debatable. A masterpiece to you could easily be little more than an innate object to me. But you happen to be reading OVERDRIVE which brings me to think that you appreciate your cars. You may even like them enough to think of them as more than just machines. You may even think of them as marvels of engineering and design. Sometimes, with a few special ones, you may even admire them enough to call them art. 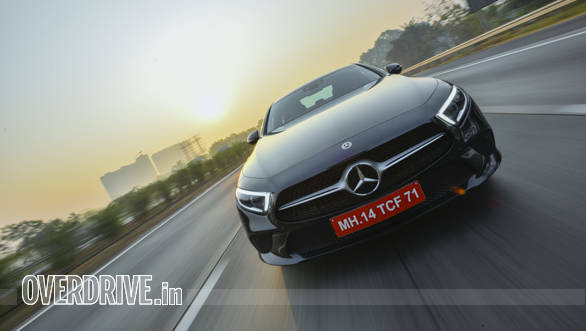 This is exactly the feeling Mercedes-Benz wants to evoke in you when you see their new CLS. The CLS' association with art become immediately apparent here. The first-generation CLS pioneered this body style and there have been numerous imitations since. While that car shocked with its sweeps and curves, the third generation car is spectacular in its restraint. It gets the long bonnet and short rear overhang design theme spot on. 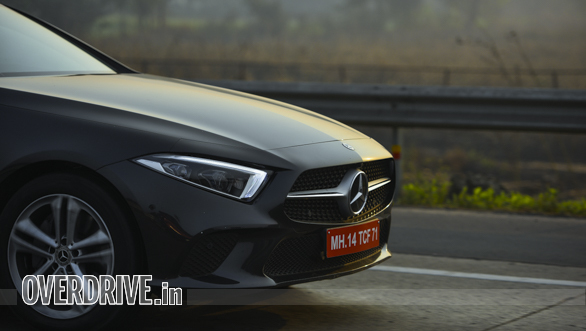 The angular LED headlamps, the big 3D grille and the slight inward slant of the front give the car a look of restrained aggression. This is complemented by the wide two-part LED taillamps and the slightly upswept bootlid. We only wish the grille was not all-plastic and had more than just a simple bar of chrome running through it. The side profile's biggest attraction is the sloped roof. This and the wide haunches just below the glass area means that the CLS achieves more with just surfacing than what many achieve with complex design languages. The 18 inch silver alloys on this car had a very simple design, we would pick the other matte black option that Mercedes provides. 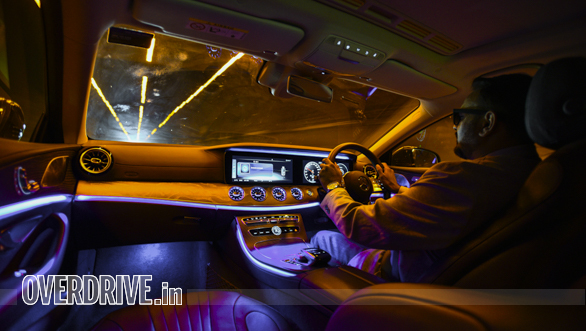 The interior borrows much from the E-Class, so it's inviting and of very high quality. Space is much improved from the last car, especially at the rear, but a high transmission tunnel will make a third rear passenger uncomfortable. Everything that looks like metal, wood or leather feels like metal, wood or leather. We especially like the grey open-pore wood and tan leather our tester came in. Three more leather and wood trim options are available to buyers. The 64 colour ambient lighting creates a very chic space inside at night, we especially liked how the turbine-style vents turn red or blue depending on the climate control setting. The dash is a step above that of the E-Class in spite of the shared switchgear and controls for the climate and infotainment. Mainly due to the widescreen cockpit. This set up gets two 12.3 inch screens which control all of the car's functions. We found the barrage of information this provides a bit overwhelming at first but the learning curve is not too steep. But the feature list leaves us wanting. There is only two-zone climate control, a manual tailgate and no request button on the front doors. We also miss the MBUX infotainment system. 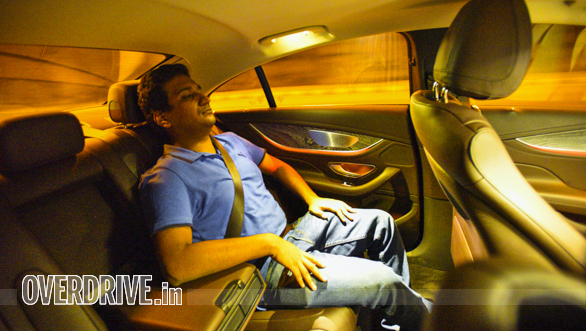 The CLS is pitched as a driver's car and needs this assistant to make the entire experience more driver-centric. What doesn't leave us wanting is safety, as expected in a Mercedes. The four-door coupe can fit itself in parking spots semi-autonomously. It also alerts the driver if it's too close to the car in front. Further, the headlamps follow the road and adjust their beam accordingly, even partially switching off high-beam when there's oncoming traffic. 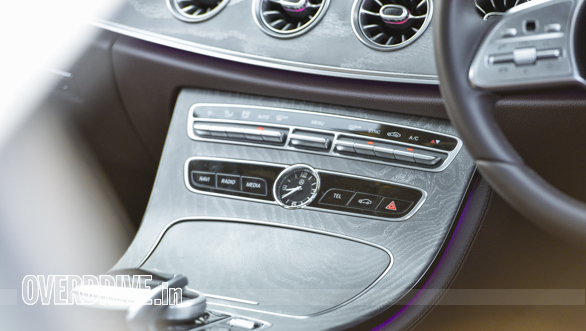 You sit low in the CLS' driver's seat. The swooping, curved dash and long bonnet give the space a sporty feel. 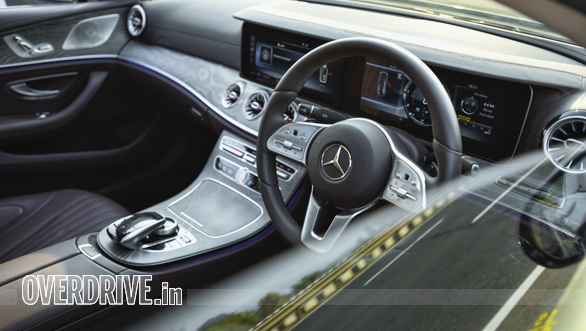 The steering wheel, similar to the one on the S-Class, is chunky to hold and is precise with a nice heft to it. The seat was disappointing though. Finding a driving position is very easy but the cushioning is a bit too hard over longer journeys and bolstering felt intrusive. 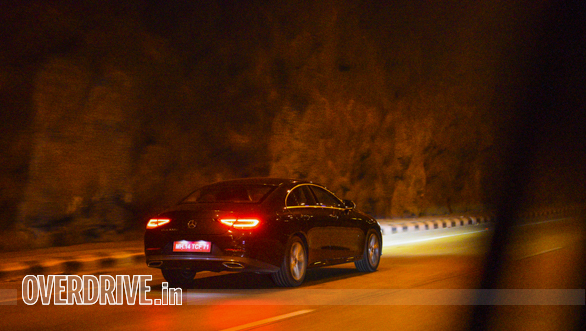 The CLS 300d we tested gets a 2.0 litre, four-cylinder turbocharged diesel motor with 245PS and 500 Nm. We liked its duality of character quite a bit. 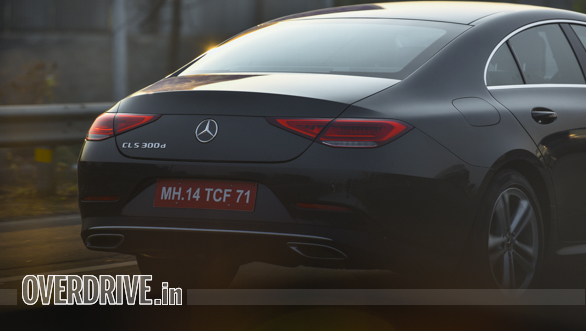 It is refined, quiet, linear and melds into the background when you want the CLS to be a luxury car. 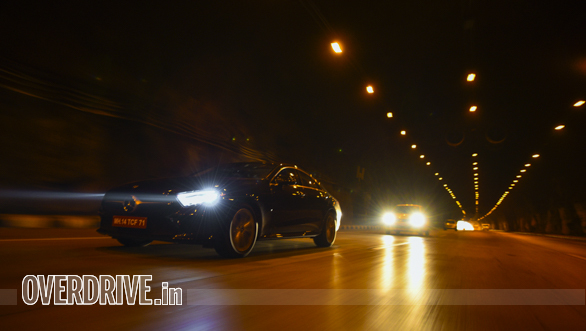 Push it and its responsive, oodles of torque make highway dashes effortless. It also lets out a nice rorty tone when you are gunning it through the gears. As a bonus, it's very fuel efficient. Our testing got us 14.83 kmpl(city) and 22.68 kmpl(highway). Mercedes' new nine-speed gearbox pairs well with this. It keeps the engine in the powerband at all times and is almost imperceptible in its functioning. It is intelligent and we never found it confused by erratic driving. Shift times rival those of any twin-clutch unit but we found it that in part throttle situations, the gearbox takes a split-second more to react than what we think is ideal. 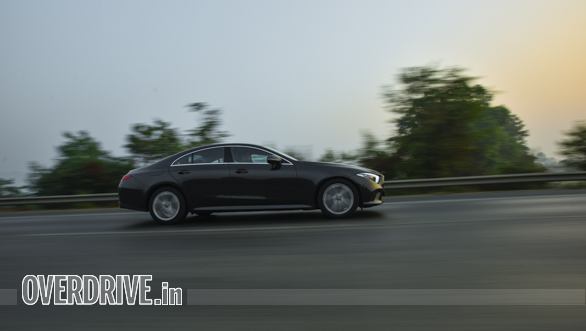 The CLS 300d's ride quality strikes a fine balance. The air-body control air suspension is comfortable and glides over almost everything, at all speeds. There is a tinge of firmness which is never intrusive and makes the whole experience sportier. The air-suspension also keeps the car completely flat around corners, counteracting lean. The system only thuds over very sharp bumps or over mid-corner imperfections in very fast sections. There are four drive modes available too, Eco, Comfort, Sport and Sport+. These change shift times, steering feel, suspension stiffness and throttle response to suit conditions. 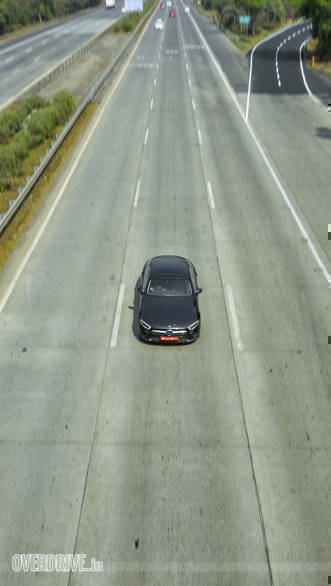 Eco dulls everything down and keeps the car in the highest gear possible, progressively Sport+ stiffens up the suspension, sharpens the steering and the transmission is quickest to react. We found Comfort and Sport the best. Eco is too conservative and Sport+ is a bit too sharp for this car in our conditions. 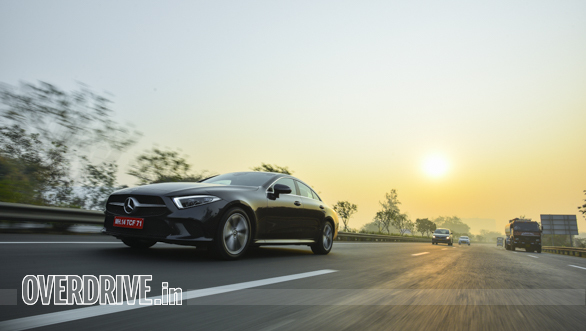 At Rs 84.70 lakh (ex-showroom India), the Mercedes-Benz CLS 300d is about ten lakhs more than what we think is fair. But there really is nothing else like this in our market right now. If you want something that looks like an art installation in the business district, on the high street at night and in the driveway of your ten-room villa, all the while being your weekend getaway car or your daily commuter, it'll do it. We'll buy the whole art argument with this one. 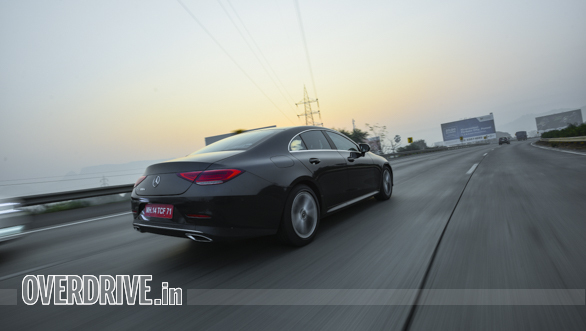 If you don't agree, the CLS is a very competent car otherwise too.